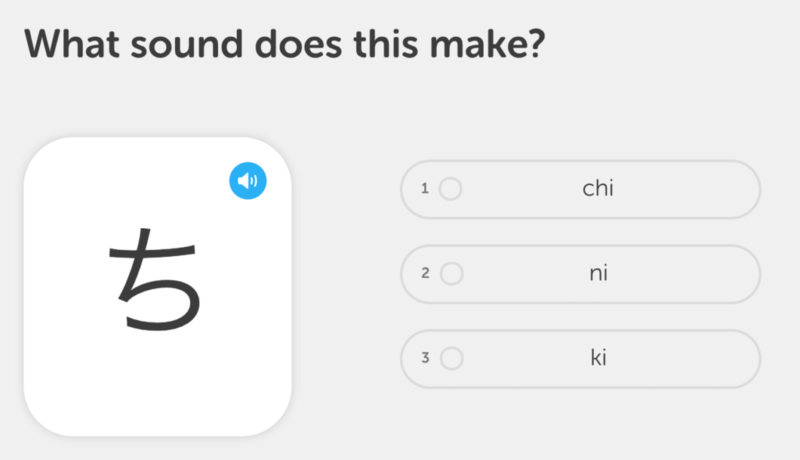 …you have Japanese lessons that are around 10 minutes long… or less! After all, it doesn’t hurt to study for 3, 5 or 7 minutes a day either. So, where can you find these magical 10 minute (or less) lessons? Right here. Take a look. This may take you a few seconds to 3 minutes a day max. How does it work? Every day, you get an email with a new Japanese word. You open it. You read the translation. You hear the pronunciation. Voila, a new word has been added to your brain without frying your brain. That’s it. It’s simple. Oh yea, words also come with sample sentences to help you understand them. Now, where can you get Japanese word of the day lessons? JapanesePod101 offers free “word of the day” lessons. Want something a little “more” than 1-word-a-day-lessons? Then you’ll love audio lessons. Audio lessons can be anywhere from 3 to 10 minutes. 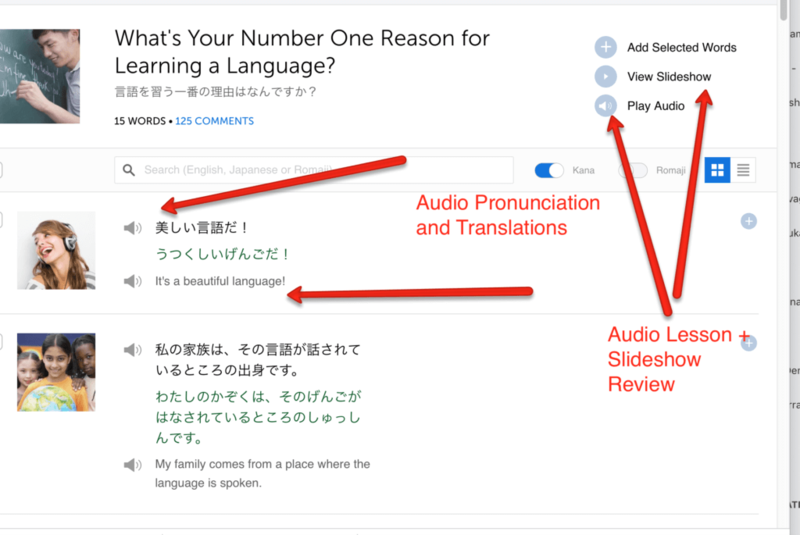 You can listen to Japanese teachers teach you conversations and translate every word. And in the mean time, you could be walking, taking the train to work, or cleaning your home. 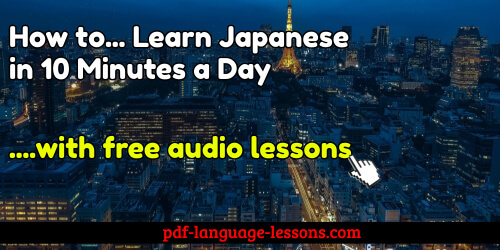 Start learning with 3-10 minute audio lessons. 3. You can practice writing for 5-10 minutes a day. 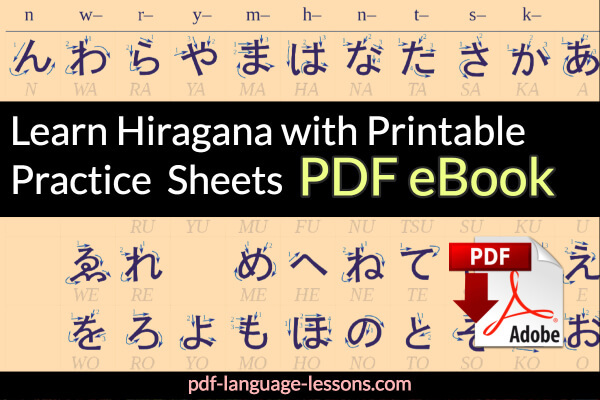 Well, if you don’t yet know your Hiragana and Katakana, you can print out worksheets and write in them. Where can you get some? 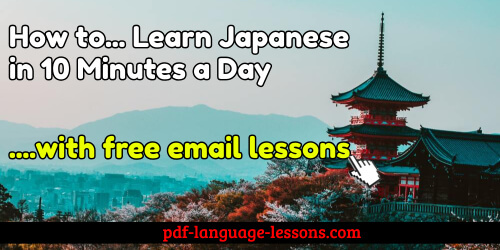 Click on the image below or check out my Japanese PDF lessons here. 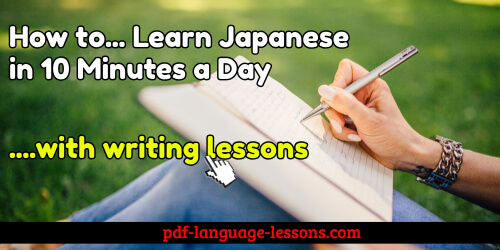 Do people actually practice writing to learn Japanese? Of course. Take a look below. 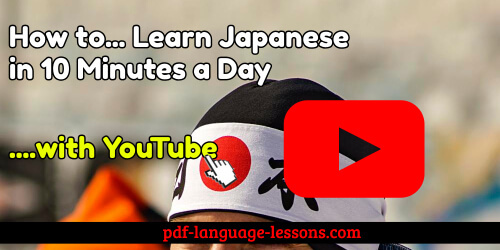 Since I listed YouTube above, it’s only fair to mention it as another way to learn Japanese in 10 minutes day. There are plenty of Japanese language teachers on YouTube that pump out content every week. There is one MASSIVE DANGER with learning on YouTube though. YouTube is like TV. It’s entertainment. It’s not a serious place to learn. Yes, you can pick up words by watching videos and keep your interest, but it will not be your road to fluency. Why? Millions of dollars are pumped into making YouTube addictive, distracting and keeping you watching. You’ll get ads. You’ll get cat videos. You’ll get unrelated videos. You will NEVER be focused on YouTube. Learning and speaking Japanese requires focus and practice, not watching just fun stuff. So, yes, use it to learn but remember, if you honestly want to take the language on, YouTube isn’t your miracle pill. Duolingo is a free language learning app. You get quizzes, fill-in-the-blanks, matching exercises and other games to help you learn words. But that’s just the thing, you will learn words… and not to speak real conversations. However, you still need words and Duolingo is super popular because it keeps users motivated. So, definitely use it. Imagine. 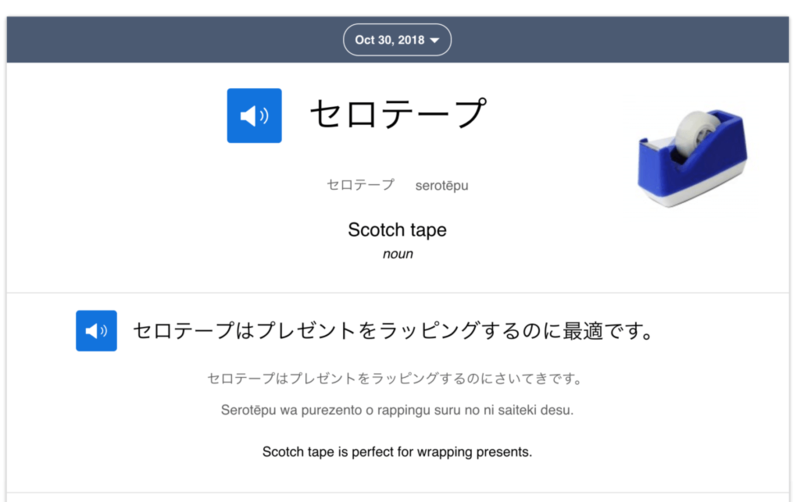 What if you had lists of Japanese words and phrases? The kind you’d need for conversations? Or, for holidays like Halloween and Christmas? That gave you the must-know adjectives, verbs and nouns? Well, if you had that, you’d know a lot of Japanese. You’d know “angry Japanese phrases.” You’d be able to talk about summer, winter, your hobbies, anime and much much more. So this is another tactic to learn Japanese in 10 minutes a day or less: Japanese Vocabulary Lists. Here, you get 100s of lists based on all kinds of topics: conversations, holidays, slang, common phrases, common questions and more. And each list comes with audio and slideshows to help you learn fast. So, where can you get these Japanese vocabulary lists? 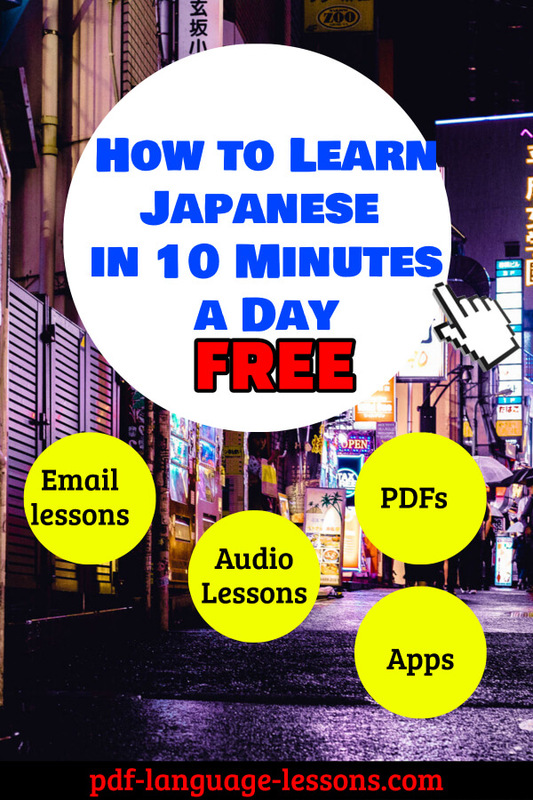 These are just a few fun ways that you can learn Japanese in 10 minutes a day. And why should you ONLY do 10 minutes? Because 10 minutes is easy. You can spend 10 minutes today. You can do a bit tomorrow. Then, the next day. Your head won’t hurt because you’re not overwhelming yourself. You’ll be more motivated and… voila, you’ll learn a LOT more. By the way, if you want more resources, then check these other guides out. 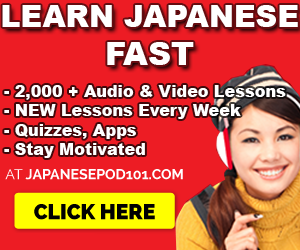 If you know of any other easy ways to learn Japanese, leave a comment! This entry was posted in Japanese by admin. Bookmark the permalink. Next → Next post: 9+ Russian PDF Lessons for Beginners. Free Downloads.